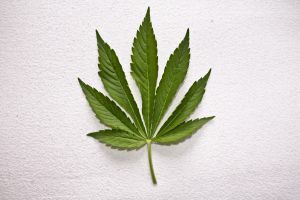 According to a recent news article from The Washington Post, a woman who allegedly called herself the “Pothead Princess” was just convicted of drunk driving resulting in two fatalities and sentenced by the court to 24 years in state prison followed by a long period of probation. Authorities say defendant Tweeted “2 Drunk 2 Care” before getting behind the wheel of her car and driving at speeds up to 80mph. While driving in the wrong direction on Florida’s Sawgrass Expressway at such high rates of speed, she crashed head-on into a car carrying two 21-year-old women returning from a night out. One of the victims died on the scene of the fatal drunk driving accident, and the other died several days later at a local hospital. As for defendant, she was underage at the time of accident and did not have a driver’s license. Court records show she consumed two “fishbowl sized” margaritas and also had traces of marijuana in her system at the time of the accident. Defendant suffered a severe head injury in the fatal drunk driving crash, as well as two broken legs. She was reportedly drinking with co-workers from the mobile phone store at which she worked while taking courses to become a teacher. She said during her sentencing she still has no memory of the fatal accident. During sentencing, defendant told victim’s family the accident may be her fault, but she is still human and her heart aches every day, as she has tremendous guilt over what happened. She asked victim’s family for forgiveness and said she made one “stupid mistake” and that has changed all of their lives forever. However, victims’ families were not ready to forgive defendant. They asked how they could forgive someone who ruined their lives and took their children away from them. They said defendant ruined all of their families’ dreams and asked for a lengthy period of incarceration. In addition to 24 years in state prison and an additional six years of probation, trial judge ordered should she get out of jail, she will never be able to drive a motor vehicle again. As our Boston drunk driving crash attorneys can explain, in addition to a criminal trial, victims and their families can also file a civil negligence lawsuit in connection with a drunk driving accident. The civil trial is separate from the criminal trial, and there is a different standard of proof. In a criminal trial in the Commonwealth of Massachusetts, prosecutors must prove a defendant guilty beyond a reasonable doubt. This is the highest burden in our legal system. On the other hand, in a civil trial, plaintiffs must prove defendant liable by a preponderance of the evidence. This means it must be shown it was more probable than not that defendant’s negligent conduct resulted in damages to plaintiff. What this means is that, even if a defendant is acquitted in a civil trial, it does not mean victims cannot later win a civil trial. However, due to the statute of limitations on negligence actions, you cannot simply wait to see what happens before filing a civil lawsuit. While the criminal charge may delay the civil trial, the fact it has already been filed will toll the applicable statute of limitations.